Blurb Description: The darkly magical new story about the monsters under the bed, from bestselling author of The Christmasaurus, Tom Fletcher.What silently waits in the shadows at night? What's under your bed, keeping just out of sight?Do you ever hear strange, creaking noises at night? Ever wonder what makes those noises? Lucy Dungston always did.Until, one morning, Lucy discovers that all the grown-ups have disappeared - as if into thin air. Chaos descends as the children in Lucy's town run riot. It's mayhem. It's madness. To most kids, it's amazing!But Lucy wants to find out the truth. Lucy lost her dad not long ago, and she's determined not to lose her mum too. She's going to get her back - and nothing is going to stop her . . .. . . except maybe the Creakers. Would it be appropriate to call 2017 the Year of Middle Grade Novels? Because for me, it has been. I don’t know if I’ve ever read this many MG novels, and, even more surprisingly, enjoying most of them! 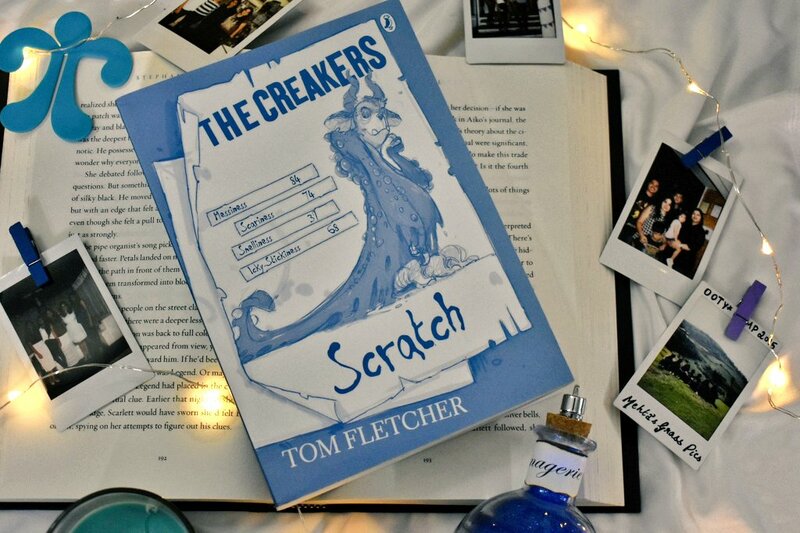 It took me a while to decide to dive into Tom Fletcher’s The Creakers. It wasn’t anything about the book, but about the fact that it was targeted towards children younger than I was that kept me from diving into it quickly. Once I did open the book, Tom Fletcher’s easy to slip into and HILARIOUS new world kept me engrossed and when I came out on the other side, I realised I’d fallen in love with this beautifully spun Middle Grade novel and that I would definitely read MORE stories about Lucy Dungston and her lovely little (Creaker filled) town. 1. THE GORGEOUS ILLUSTRATIONS: Honestly, the illustrations brought this book to LIFE. I loved seeing the Creakers, the messed up town with no adults and all things Lucy and Norman brought to life beside the text. I truly marvelled at all of them. 2. LUCY DUNGSTON THE FEARLESS: About fifty pages into the book, I was WISHING that I’d met Lucy Dungston through the pages of a book when I was her age. She was fearless, super smart and kind. She helped the children around the block, took care of some of them all while being this adorable kid herself, who just wanted her parents back. She was the Nancy Drew and Katniss Everdeen of this hilarious and yet slightly scary novel! 3. THE WOLEB: *The Woleb is the realm below ours where all Creakers and their Creaker families exist. It’s what you might, as a kid, have called Opposite World. Where up is down and right is wrong and adult become children and vice versa. I LOVED the very idea behind The Woleb and the illustrations that brought it out so well. 4. THE CREAKERS: I couldn’t do a review about this book without mentioning how much I fell in love with the slimy, garbage craving Creakers. I know the exact moment I fell in love with them too – when Lucy manages to trap them under a laundry basket and their interactions with her and each other were SO FUNNY. 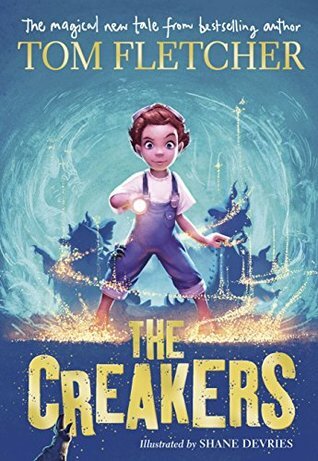 Honestly, The Creakers is the PERFECT book to give children and middle – graders to encourage their love of reading. They’re sure to fall in love with Lucy’s bravery, be slightly scared of The Creakers and also learn to love and be kind. One of the funniest books I’ve read in a while! 4.5 stars! Tom Michael Fletcher is an English singer-songwriter, guitarist, children's author and YouTube vlogger. Among his accomplishments, he is one of the lead vocalists and guitarists of English pop rock band McFly, in addition to being the group's founder and principal songwriter. He is credited as having written songs for bands including One Direction, Busted, The Vamps and 5 Seconds of Summer. Fletcher released his first children's book in 2012. Co-written with band-mate Dougie Poynter, The Dinosaur that Pooped Christmassold over 72,000 copies and became the most popular debut children's novel of 2012. Fletcher has released his first solo novel, The Christmasaurus, on 6 October 2016. What are some of your favourite books that have illustrations in them? What are some of your favourite MG books? Are you a McFly fan? What was your favourite song?